can be emptied or drained away. an external wall or out of a window. recycling tech that saves energy. features all in one place. If you’re still not sure what you’re looking for, take a look at our handy buying guide, or find out more about our easy installation service below. Use this tool to find the tumble dryer that’s right for you. You can choose your preferred dryer type, load capacity and find the perfect colour to complement your kitchen. Find out the five most important things to know when choosing a new tumble dryer. You can make ironing super easy by choosing a machine with an Iron Dry option. This clever automatic setting will use a shorter drying time, leaving a little bit of moisture in your shirts to reduce creases. To help you look in the right direction, check out our customers' most loved models. all highly recommended for their selection of dry programmes and choice of drum sizes. 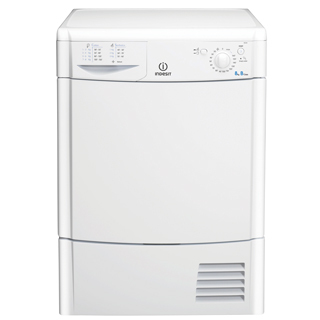 We offer all three types of tumble dryer: vented tumble dryers, condenser dryers and dryers with heat pump technology. They all work slightly differently, but ultimately use hot air to get your clothes dry easily and ready to wear. For more information on what we can and can’t install click here. Our amazing range includes freestanding tumble dryers that’ll sit in-between your cupboards and built-in models to give your kitchen a sleek look. So whether you’re just replacing an old appliance or you’re looking to upgrade, we’ll have the ideal one for you. Each model comes with various drying programmes and drying times too. So if you’re quickly drying your clothes for an event that evening, or you want your cotton sheets to be soft and warm, you’ll be able to find a setting to suit your load. Dryers come in all different drum sizes. We offer energy efficient models with a 6kg capacity for small families, up to 9kg models that are perfect for larger households. If you’re unsure on which model is best for you, check out our handy buying guide. And once you’ve got all the facts, you can save time and money shopping on our best buys or deals pages.